Seems the internet is full of those, cos apparently, like me, not many people like the “stubbyness” of the original. I used a little plasticard and putty, but mostly the original parts in the kit. All I did, was alter the stuff I didn't like. for me, the tail was too short, so I took the tail section of the end of the fuselage and rebuilt it as an add-on to the end, rather than being above and below it. if you have one, you can see the three tail section pieces in their new position. So there you have it, my take on the StormTalon I prefer the lines Ive adjusted it to here, but I’ sure there are lots of opinions out there, so please feel free to share. While you ponder, here are some more pics. 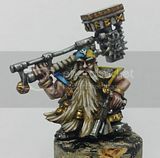 I really like your conversion, its just about what I was thinking of doing for this model when I got one as like you and everyone else, the nose just didn't work for me. The tail looks especially good. I'd thought about if the guns would fit in the space where the lenses are, but looking at your pics it seems they are a bit wide? The landing gear at the front looks cool too! Yeah they are some big Ac's.. If you had some of the Ravenwing Ac's hanging about they might fit better in that space. the other issue though is that the nose itself is quite deep. the bottom plasticard plate on mine is the bottom of the fuselage of the model. going any shorter than that would be even more major surgery to take a huge chunk of the bottom of the model off. Great looking Stormtalon conversion! Definitely one of my favorites. Thanks for sharing. Best Stormtalon conversion I've seen to date! Really like this alot - makes the model look far less Chibi and more Gunship like it's supposed to. Hurry up and paint it! I think I'll save the rotor blades for when I get to my Ork army (next codex?) and I "look" one of these to be a chinork. I just bought a stormtalon, and once I started pieceing it together, I noticed just how small and boxy the thing really is. Your conversion is the absolute best I've seen for making it look much more appropriate. I was curious, on the extended tail, what did you use to extend it? It looks like you sliced the top fin off, and extended the tail itself. What did you use to do this? Was it completely custom work with plasticard, or did you modify some existing bits, than connect it as an extension for the top fin to be connected to. Hi anon, thanks for your comments. glad you like the beastie. There's no plasticard here. the upper tail section is the model's usual lower tail section as you correctly identify, and the extender piece is the original upper tail section removed and pinned to the end of the fuselage. i'm not sure that is explained well enough, but if you look at your kit you might be able to see the peice I mean, its on the fuselage, and some gap filling is needed to take it's place, likewise some gap filling is needed at the front end, which is the only place on the conversion i used plasticard. Ok I get it now. I didn't think about the former Top fin being used as the extender. This is quite brilliant! I'm looking into if I want to copy your approach to the Assault cannons. I LOVE the look of it 1000 times over compared to the standard model, but with the standard model has a 360 degree rotation, I"m debating if I really want to install it as hardpoints, which would more than likely require opponent's permission to use as it should be (Depending on the table and stubbornness of opponent. I don't see why you need your opponents permission. For one, it's in the rules that it's a turret mounted TL assault cannon, and for two, you could always argue that it's currently retracted, and can extend the guns below the fuselage if necessary. It's not like that's a weird concept.